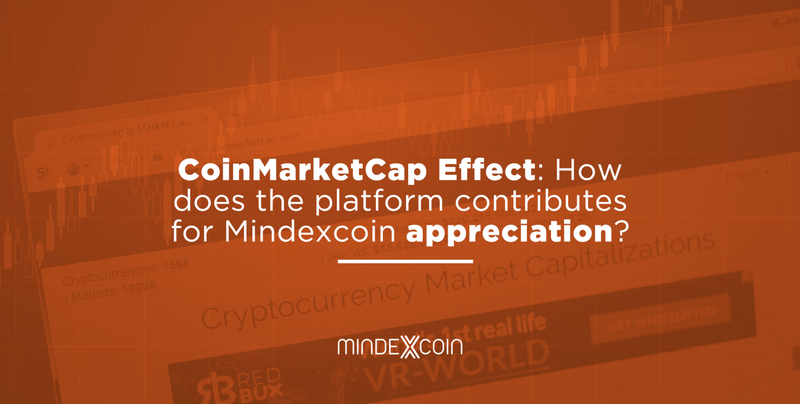 Since MindexCoin release in the biggest cryptocurrency platform in the internet, the CoinMarketCap, its value has increased more than 2000%. 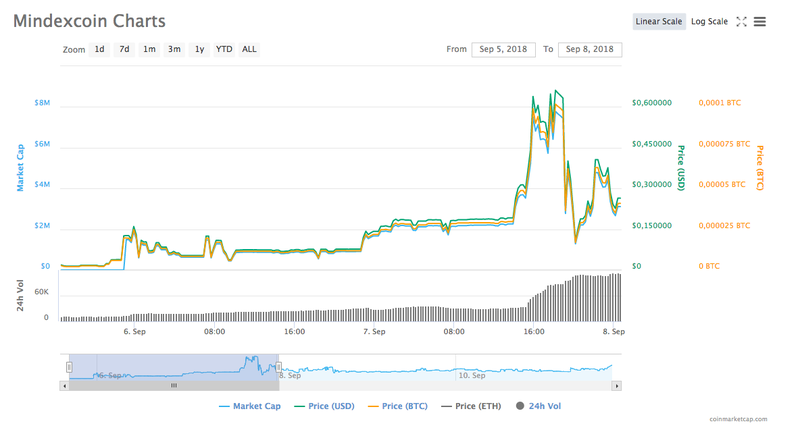 Even with market’s oscillation affecting bigger and well-known currencies such as Ethereum, MindexCoin appreciation remains positive and stable. This is the effect of only one week in the platform which shows the importance of consistent partners both for visibility and competition. But what is platform’s real relevance in the appreciation of new tokens released in the market? A market capitalization essentially shows the amount of demand for the cryptocurrency. With more people buying, bidding the price, the market cap for a new currency gets higher. But more than just informing how strong an asset is, a market cap as strong as CoinMarketCap speaks to volume. It indicates the volume of a currency within the sector, and the dominance of the top cryptocurrencies in the market. Such audience increases the competition hence the visibility of these currencies increases. Also, a market cap can give a sense of a currency’s stability by following the data available closely. Understanding the classification can help investors to make smart decisions. Large capitalization companies can be seen as more rentable and a lower-risk investment than small capitalization companies. However, small cap companies may have greater growth potential hence they could provide a good opportunity for capital gains. By entering CoinMarketCap Mindexcoin not only gains visibility and engagement with other companies but allows it to partner with important services. After partnering with CoinMarketCap, MIC’s was also included in exchange platforms such as Token.Store and other 10 market capitalizations such as CoinChekup, CoinGoLive and Bitgur. The more involved a cryptocurrency is in the market, more is the perception of future prospects and appraisal for its stock.